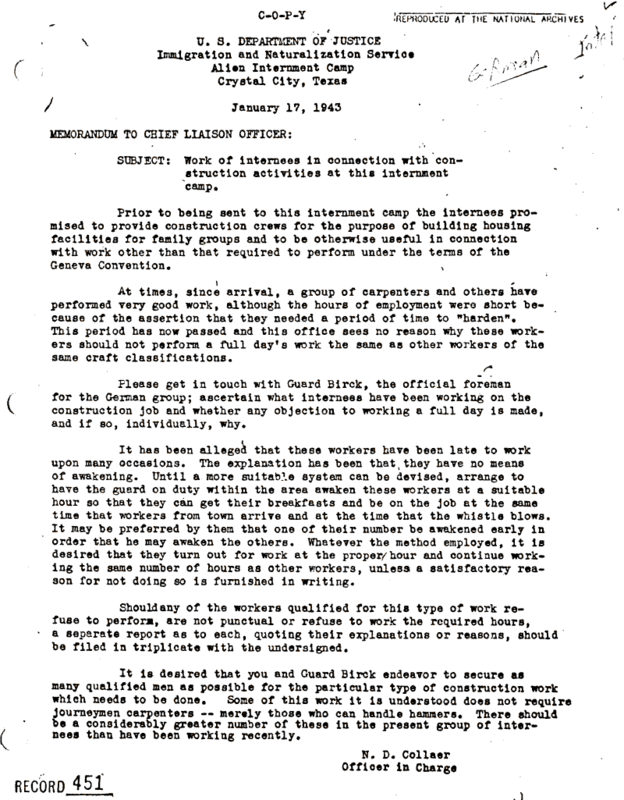 Document Notes: A report on the failure of internees to work. Only in America. Had the same situation arisen in a Japanese Internment Camp a few heads would have rolled and the problem would have been solved.